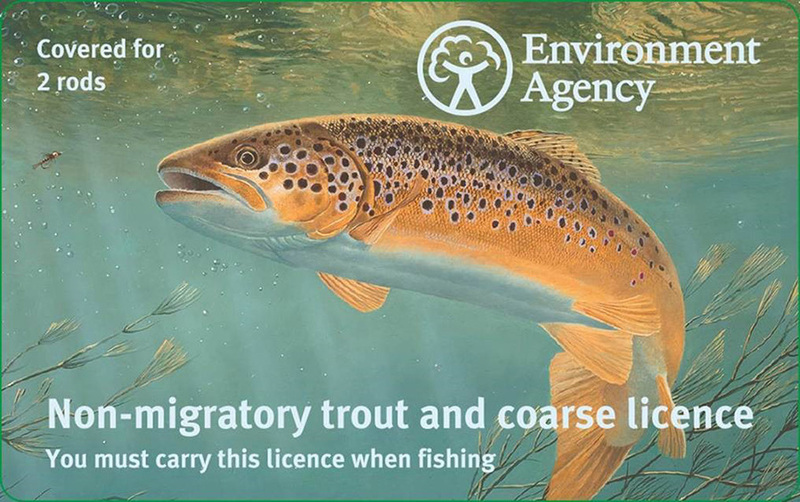 Do you need a second licence? 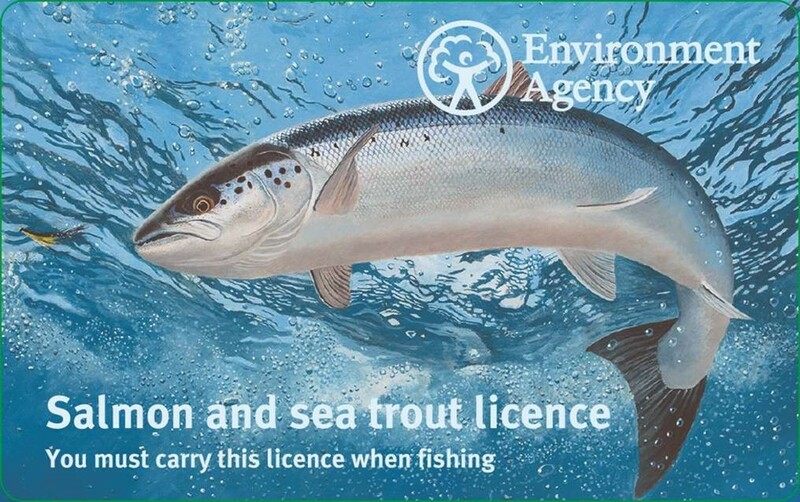 You only need a second license if you want to fish with four or more rods otherwise purchase a 2 or 3 rod license as required. Disabled - for those in receipt of Disability Living Allowance (or Personal Independence Payment) and Blue Badge Holders. Please note, you will need your National Insurance number or Blue Badge number for your concession. 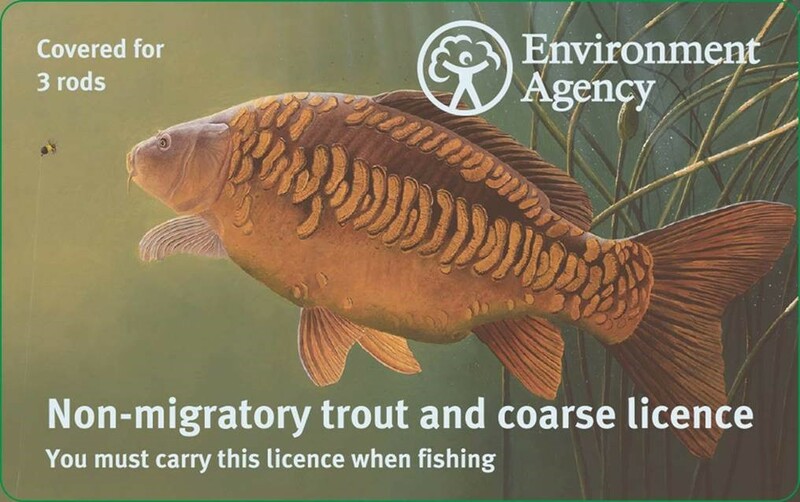 To renew your Rod Licence at the Post Office just bring along your Environmental Agency Rod Licence renewal form along with the appropriate fee and we will scan your form and that's all there is to it. The licence will be sent to you in the post but you will be covered immediately. 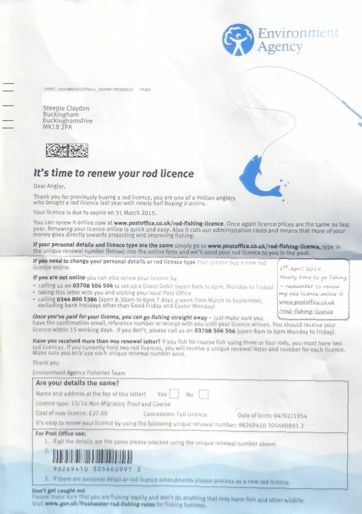 If you are applying for a new license not a renewal or you have lost your renewal form then you will just need to let us know your full name, address and date of birth and we will do the rest. You can even do it on behalf of a 3rd party.